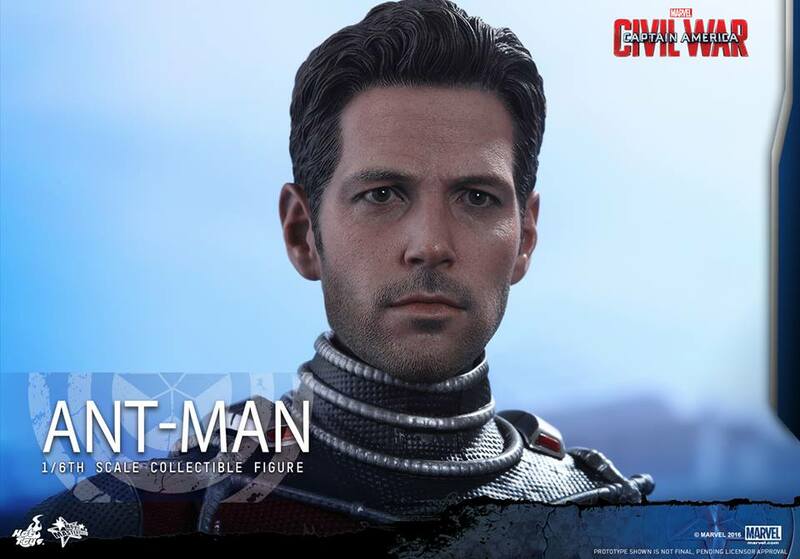 Hot Toys has revealed a surprise reveal for a new Ant-Man 1/6 scale collectible figure based of Paul Rudd's portrayal of the character in May 6th's Captain America: Civil War. 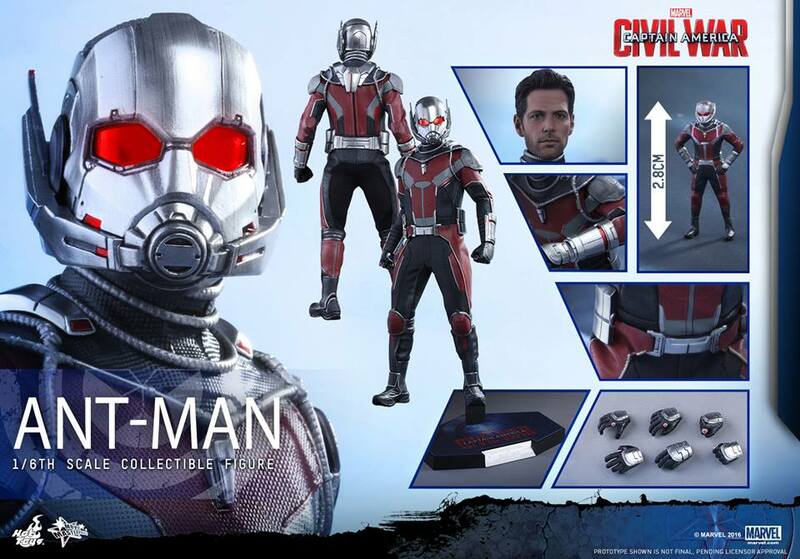 Surprising because Hot Toy's just got a slow moving version of the figure based on last summer's Ant-Man film to retailers. Personally I love the figure, and applaud Hot Toy's for not making this a simple rehash. 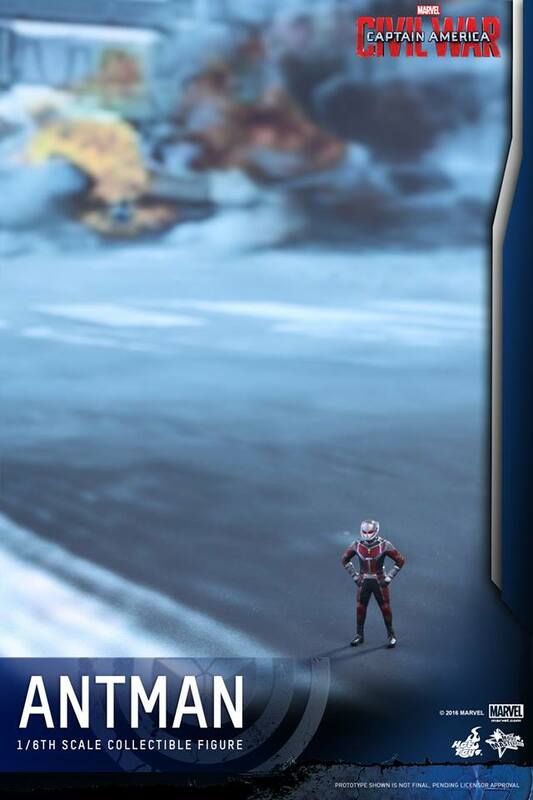 The renowned company has provided us with a new Rudd sculpt, as well as a 2.8 CM tiny Ant-Man to go along with the normal size figure. These small touches is what make's Hot Toys the best high end retailer of figures in the market today! Expect this tiny guy to be up for pre-order at bigbadtoystore.com today for around $235, and probably arriving at your door step early 2017. Please let us know what you think of this new Ant-Man hot toys in the comments below!